You may think how 5x 2.67 magnets and MacGyver are comparable, when they are so different. Yes, you are right, they are largely different, but still they share some commonness, which prompted us to come up with this title. MacGyver was one of the most entertaining televised series during 1985-1992. Angus MacGyver was a fictional secret agent who avoided carrying a gun and always demonstrated scientific resourcefulness with a duct tape and Swiss Army knife. Although experts confirm that many of the science theories are difficult to materialize, but MacGyver soon became an idol for science students, daydreamers, scientists and many others. If there is a hidden MacGyver in you, perhaps you can unleash it by working with promotional 5 x 2.67 magnets. Create value for your customers by telling them why they should pursue you time and again. You can give them concrete reasons as why they should stick to you and never go to other competitors. Perhaps you can exaggerate a bit to show why you are special. For example – You can say “Lowest Price Match Guarantee, Else We can Beat the Price by 25%” or “Save on Shipping Always” “Only Selling Made in USA products”. Does that make sense! Perhaps a theme of “heroism through science” kept viewers hooked to MacGyver series and that was unique than formats of other detective programs. Do you think small promotional items cannot make impressions? Perhaps you are wrong and haven’t tried anything to make them work. You can easily do it by printing messages on these small personalized magnets. You can inspire your customer to become your brand advocate for a lifetime by printing messages such as “Win 10% off for introducing our brand to your friend” Or “Win 10% discount on the sale by inspiring your friend to buy from us.” Admirers of MacGyver made him a cult icon! People don’t care, whether you are offering them a full size promotional brochure or a small promotional magnet, only what matters is you are offering them what they want. 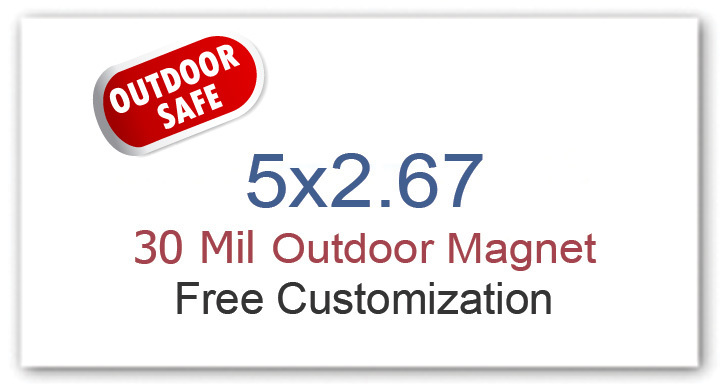 You can give them what they want by printing your messages over these customized magnets 5×2.67. Promotional messages saying “Save 20% on 27th December, 2014 or Save on holiday purchases” will make you to look up. People would be happy that you have given them a reason to smile over investments. That is what exactly MacGyver did! If you religiously followed MacGyver, you might have seen that a Swiss army knife and a duct tape were his constant companions. You don’t need to take a small Swiss knife or a duct tape to build impressions because you can easily do it with promotional magnets 5x 2.67. A customized magnet becomes an asset to any promotional campaign with the choice of marketing message printed over them. The comparisons between Angus MacGyver and 5 x 2.67 promotional magnets may never end, but we decided to end it to allow you to build impressive advertising campaigns over them.